If you are thinking about an urban farming project indoors, you will most likely need extra lighting. 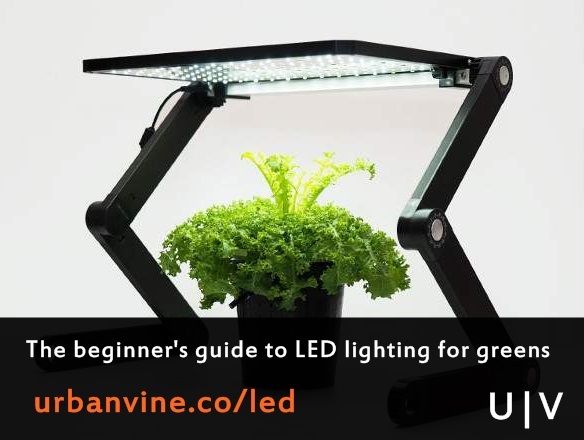 In this article we discuss grow lights for urban farming, particularly LED lighting. In 1868, Russian Botanist Andrei Famintsyn successfully grew produce in a way that no other person had ever done before, in thousands of years of human civilization. Famintsyn was the first to use artificial grow lights effectively in agriculture. These days, grow lights are a key factor for both urban farmers and larger companies. What grow lights are best for your project? What are the main grow light options? What are grow lights exactly? Grow lights are defined as any artificial lights (typically electrical in source, not sunlight) that can be used exclusively for food production, or in combination with natural light. What is the science behind grow lights? Put simply, plants grow and develop via the process of photosynthesis. Light is required for photosynthesis. 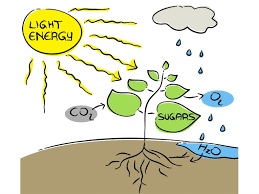 However, not all light is the same, different types of light have different wavelengths, and only some wavelengths (visible as red, blue, and green light) allow for photosynthesis and plant growth. Grow lights replicate these same wavelengths to allow for plant growth. (There are some complications to the process, which we will touch on shortly below). When are grow lights necessary? 1) "Natural light replacement": In this case, grow lights are used as a supplement or replacement of sunlight during winter months or in climates with periods of limited light. This use case may be more important for certain crops. For example, crops that need extensive amounts of sunlight and warmer temperatures such as basil are nearly impossible to grow effectively without precise supplemental grow lighting and temperature management in the indoor setting that occurs so often in urban farming. 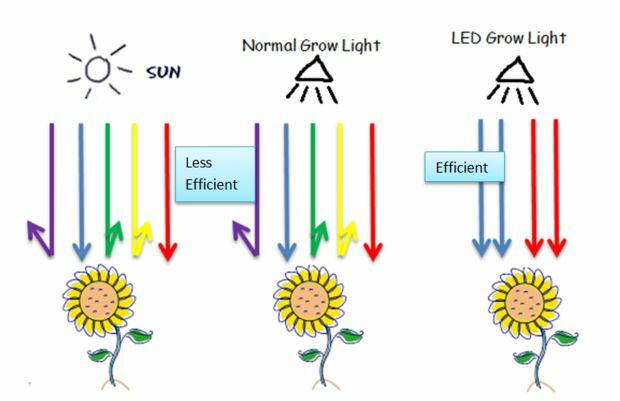 2) "Natural light improvement": For many larger, sophisticated, urban farming and indoor growing operations, grow lights can be used to actually improve over the process of light absorption, optimizing beyond the natural light that natural light would provide. Urban farming beginners can pay less attention to this situation for now. What makes LED lights different? LED lights, along with fluorescent lights, are a good option for beginners. LED lights are very economical and highly efficient in providing the necessary light spectra for many types of plant growth popular in the urban farming community. - Can be placed close to plants in tight spaces, 12+ inches of spacing suggested, without affecting growth negatively. Grow lights can be easily found online with vendors like Amazon. 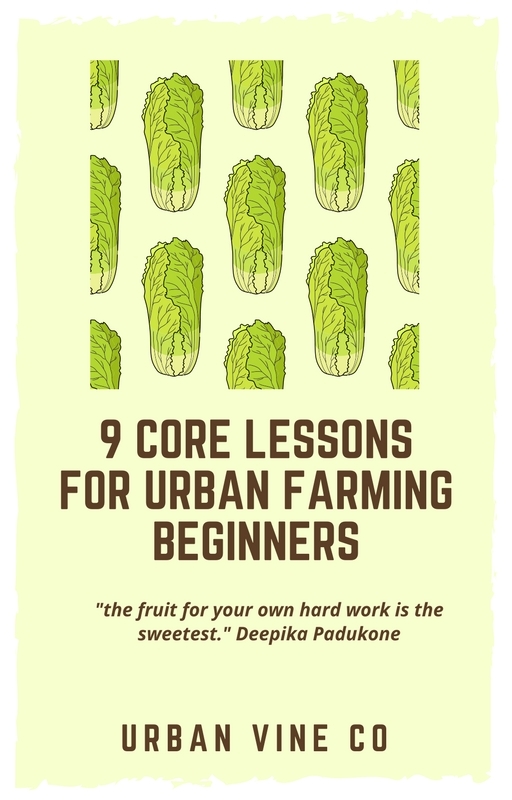 However for beginners, if possible, we suggest finding a local agriculture supply store for beginners, where you can get some personalized advice on building your full urban farming system from scratch. Looking for more info on growing specific crops for your first urban farming project? Download our beginner's guide for 17 different crops here.